For the concurrent period of race riots during the American civil rights movement, see Long hot summer of 1967. For other uses, see Summer of Love (disambiguation). The Summer of Love was a social phenomenon that occurred during the summer of 1967, when as many as 100,000 people, mostly young people sporting hippie fashions of dress and behavior, converged in San Francisco's neighborhood of Haight-Ashbury. Although hippies also gathered in many other places in the U.S., Canada and Europe, San Francisco was at that time the most publicized location for hippie subculture. Hippies, sometimes called flower children, were an eclectic group. Many were suspicious of the government, rejected consumerist values, and generally opposed the Vietnam War. A few were interested in politics; others were concerned more with art (music, painting, poetry in particular) or spiritual and meditative practices. 3 "San Francisco (Be Sure to Wear Flowers in Your Hair)"
Inspired by the Beat Generation of authors of the 1950s, who had flourished in the North Beach area of San Francisco, those who gathered in Haight-Ashbury during 1967 allegedly rejected the conformist and materialist values of modern life; there was an emphasis on sharing and community. The Diggers established a Free Store, and a Free Clinic where medical treatment was provided. The prelude to the Summer of Love was a celebration known as the Human Be-In at Golden Gate Park on January 14, 1967, which was produced and organized by artist Michael Bowen. James Rado and Gerome Ragni were in attendance, allegedly helping to inspire their musical drama Hair. Rado recalled, "There was so much excitement in the streets and the parks and the hippie areas, and we thought `If we could transmit this excitement to the stage it would be wonderful ...' We hung out with them and went to their Be-Ins [and] let our hair grow. It was very important historically, and if we hadn't written it, there'd not be any examples. You could read about it and see film clips, but you'd never experience it. We thought, 'This is happening in the streets,' and we wanted to bring it to the stage.'" Also at this event, Timothy Leary voiced his phrase, "turn on, tune in, drop out". This phrase helped shape the entire hippie counterculture, as it voiced the key ideas of 1960's rebellion. These ideas included communal living, political decentralization, and dropping out. The term "dropping out" became popular among many high school and college students, many of whom would abandon their education for a summer of hippie culture. The gathering of approximately 30,000 at the Human Be-In helped publicize hippie fashions. The term "Summer of Love" originated with the formation of the Council for the Summer of Love during the spring of 1967 as a response to the convergence of young people on the Haight-Ashbury district. The Council was composed of The Family Dog, The Straight Theatre, The Diggers, The San Francisco Oracle, and approximately twenty-five other people, who sought to alleviate some of the problems anticipated from the influx of people expected during the summer. The Council also assisted the Free Clinic and organized housing, food, sanitation, music and arts, along with maintaining coordination with local churches and other social groups. The increasing numbers of youth traveling to the Haight-Ashbury district alarmed the San Francisco authorities, whose public warning was that they would keep hippies away. Adam Kneeman, a long-time resident of the Haight-Ashbury, recalls that the police did little to help the hordes of newcomers, much of which was done by residents of the area. College and high-school students began streaming into the Haight during the spring break of 1967 and the local government officials, determined to stop the influx of young people once schools ended for the summer, unwittingly brought additional attention to the scene, and a series of articles in local papers alerted the national media to the hippies' growing numbers. By spring, some Haight-Ashbury residents responded by forming the Council of the Summer of Love, giving the event a name. 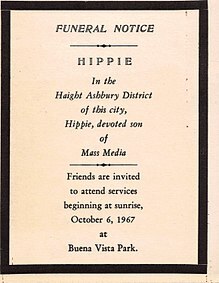 The media's coverage of hippie life in the Haight-Ashbury drew the attention of youth from all over America. Hunter S. Thompson termed the district "Hashbury" in The New York Times Magazine, and the activities in the area were reported almost daily. The event was also reported by the counterculture's own media, particularly the San Francisco Oracle, the pass-around readership of which is thought to have exceeded a half-million people that summer, and the Berkeley Barb. The media's reportage of the "counterculture" included other events in California, such as the Fantasy Fair and Magic Mountain Music Festival in Marin County and the Monterey Pop Festival, both during June 1967. At Monterey, approximately 30,000 people gathered for the first day of the music festival, with the number increasing to 60,000 on the final day. Additionally, media coverage of the Monterey Pop Festival facilitated the Summer of Love as large numbers of hippies traveled to California to hear favorite bands such as The Who, Grateful Dead, the Animals, Jefferson Airplane, Quicksilver Messenger Service, The Jimi Hendrix Experience, Otis Redding, The Byrds, and Big Brother and the Holding Company featuring Janis Joplin. "San Francisco (Be Sure to Wear Flowers in Your Hair)"
Musician John Phillips of the band The Mamas & the Papas wrote the song "San Francisco (Be Sure to Wear Flowers in Your Hair)" for his friend Scott McKenzie. It served to promote both the Monterey Pop Festival that Phillips was helping to organize, and to popularize the flower children of San Francisco. Released on May 13, 1967, the song was an instant success. By the week ending July 1, 1967, it reached number four on the Billboard Hot 100 in the United States, where it remained for four consecutive weeks. Meanwhile, the song charted at number one in the United Kingdom and much of Europe. The single is purported to have sold more than 7 million copies worldwide. In Manhattan, near the Greenwich Village neighborhood, during a concert in Tompkins Square Park on Memorial Day of 1967, some police officers asked for the music's volume to be reduced. In response, some people in the crowd threw various objects, and 38 arrests ensued. A debate about the "threat of the hippie" ensued between Mayor John Lindsay and Police Commissioner Howard Leary. After this event, Allan Katzman, the editor of the East Village Other, predicted that 50,000 hippies would enter the area for the summer. Double that amount, as many as 100,000 young people from around the world, flocked to San Francisco's Haight-Ashbury district, as well as to nearby Berkeley and to other San Francisco Bay Area cities, to join in a popularized version of the hippieism. A Free Clinic was established for free medical treatment, and a Free Store gave away basic necessities without charge to anyone who needed them. The Summer of Love attracted a wide range of people of various ages: teenagers and college students drawn by their peers and the allure of joining an alleged cultural utopia; middle-class vacationers; and even partying military personnel from bases within driving distance. The Haight-Ashbury could not accommodate this influx of people, and the neighborhood scene quickly deteriorated, with overcrowding, homelessness, hunger, drug problems, and crime afflicting the neighborhood. In England, gatherings with a theme similar to that of the Summer of Love occurred in various places in London. The UFO Club in Tottenham Court Road, open from December 1966 to October 1967, was a gathering place where psychedelic musical groups such as Pink Floyd and the Soft Machine played, accompanied by light shows. Pink Floyd performed their 'Games For May' concert in May. The 14 Hour Technicolour Dream in the Alexandra Palace on April 29 was another major event, where amongst others, Pink Floyd, The Crazy World of Arthur Brown, Soft Machine, The Move, Tomorrow, and The Pretty Things played. On 29 May in Spalding, Lincolnshire, the UKs first Rock festival was held, Barbeque 67. A Legalise Pot Rally was held at Speakers' Corner on 16 July, led by activist Stephen Abrams, featuring Allen Ginsberg and assorted London policemen. It was soundtracked by songs such as "A Whiter Shade of Pale" by Procol Harum, "Itchycoo Park" by the Small Faces, "All You Need Is Love" by the Beatles and "Hole In My Shoe" by Traffic. The Beatles were a major influence, particularly by releasing Sgt Pepper's Lonely Hearts Club Band on June 1. Much of the music was broadcast by certain radio stations, particularly Radio Caroline and Radio London, which introduced the DJ John Peel and his Perfumed Garden show. The events were recorded and promoted by the newspaper International Times, also known as IT, and the magazine Oz. Notable graphic artists included Hapshash and the Coloured Coat (who were Nigel Waymouth and Michael English), The Fool (a Dutch group, endorsed by the Beatles), and Martin Sharp. Many of the fashion shops, known as boutiques, such as Granny Takes A Trip, Hung On You and Dandie Fashions were on or near the Kings Road. These were where psychedelic clothing, such as kaftans, Afghan Coats, Victoriana, mini skirts and everything floral could be found. Major promoters included John 'Hoppy' Hopkins, who helped establish the International Times, a hippie newspaper. He established the London Free School and the UFO psychedelic club and promoted the 14 Hour Technicolor Dream with Barry Miles, a writer who established the Indica Gallery and Bookshop. Paul McCartney was particularly vocal in his endorsement of the new fashions. The establishment was mystified by and frightened of the new fashions, which were ridiculed by the tabloid press. Some notable arrests included Mick Jagger, Keith Richards, Robert Fraser and John 'Hoppy' Hopkins. The Times published an editorial headlined ‘Who Breaks A Butterfly On A Wheel?’ denouncing the arrest of Mick Jagger and Keith Richards. Haight Ashbury was a ghetto of bohemians who wanted to do anything—and we did but I don't think it has happened since. Yes there was LSD. But Haight Ashbury was not about drugs. It was about exploration, finding new ways of expression, being aware of one's existence. After losing his untenured position as an instructor on the Psychology Faculty at Harvard University, Timothy Leary became a major advocate for the recreational use of psychedelic drugs. After taking psilocybin, a drug extracted from certain mushrooms that causes effects similar to those of LSD, Leary endorsed the use of all psychedelics for personal development. He often invited friends as well as an occasional graduate student to consume such drugs along with him and colleague Richard Alpert. On the West Coast, author Ken Kesey, a prior volunteer for a CIA-sponsored LSD experiment, also advocated the use of the drug. Soon after participating, he was inspired to write the bestselling novel One Flew Over the Cuckoo's Nest. Subsequently, after buying an old school bus, painting it with psychedelic graffiti and attracting a group of similarly-minded individuals he dubbed the Merry Pranksters, Kesey and his group traveled across the country, often hosting "acid tests" where they would fill a large container with a diluted low dose form of the drug and give out diplomas to those who passed their test. Along with LSD, cannabis was also much used during this period. With the various all-organic fashions beginning to increase, this drug was even more appealing than LSD because apart from creating a euphoric high, it was all-natural as well. However, as a result, crime increased among users because new laws were subsequently enacted to control the use of both drugs. The users thereof often had sessions to oppose the laws, including The Human Be-In referenced above as well as various "smoke-ins" during July and August, however, their efforts at repeal were unsuccessful. We wanted to signal that this was the end of it, to stay where you are, bring the revolution to where you live and don't come here because it's over and done with. In New York, the rock musical drama Hair, which told the story of the hippie counterculture and sexual revolution of the 1960s, began Off-Broadway on October 17, 1967. The "Second Summer of Love" (the term generally refers to the summers of both 1988 and 1989) was a renaissance of acid house music and rave parties in Britain. The culture supported MDMA use and some LSD use. The art had a generally psychedelic emotion reminiscent of the 1960s. 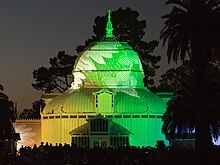 During the summer of 2007, San Francisco celebrated the 40th anniversary of the Summer of Love by holding numerous events around the region, culminating on September 2, 2007, when over 150,000 people attended the 40th anniversary of the Summer of Love concert, held in Golden Gate Park in Speedway Meadows. It was produced by 2b1 Multimedia and the Council of Light. In 2016, 2b1 Multimedia and The Council of Light, once again, began the planning for the 50th Anniversary of the Summer of Love in Golden Gate Park in San Francisco, this was intended to be the most incredible gathering of Legendary Musicians and Speakers in a decade. By the beginning of 2017, the Council had gathered about 25 of the best poster artists in the country, many were poster artists from the 60’s, about 10 of them submitted their finished art, but it was never printed, the Council was also contacted by some of the most famous and legendary Bands and Musicians in the World, who wanted to be part of this historic event, all were waiting for the Date to be determined before a final commitment. New rules enforced by the San Francisco Parks and Recreational Department (PRD) prohibited the council from holding a free event of the proposed size. There were many events planned for San Francisco in 2017, many of which were 50th Anniversary-themed. However, there was no free concert. The PRD later hosted an event originally called “Summer Solice Party,” but it was later renamed “50th Anniversary of the Summer of Love” two weeks before commencement. The event had less than 20,000 attendees from the local Bay-Area. In frustration, producer Boots Hughston put the proposal of what was by then to be a 52nd anniversary free concert into the form of an initiative intended for the November 6, 2018 ballot. The issue did not make the ballot, however a more generic Proposition E provides for directing hotel tax fees to a $32 million budget for "arts and cultural organizations and projects in the city." During the summer of 2017, San Francisco celebrated the 50th anniversary of the Summer of Love by holding numerous events and art exhibitions. In Liverpool, the city has staged a 50 Summers of Love festival based on the 50th anniversary of the June 1, 1967 release of the album Sgt Pepper's Lonely Hearts Club Band, by The Beatles. ^ a b c d e Hinckley, David (October 15, 1998). "Groovy The Summer Of Love, 1967". New York Daily News. Retrieved September 28, 2012. ^ College, Smith. "Counterculture". www.smith.edu. Retrieved 2017-08-16. ^ "What was the summer of love?". The Guardian. 2007-05-26. ISSN 0261-3077. Retrieved 2017-08-16. ^ "Chronology of San Francisco Rock 1965-1969". Virtual Museum of the City of San Francisco. Retrieved 2008-11-01. ^ "Copy of Certificate of Honor presented to Michael Bowen". City and County of San Francisco. 2007-09-02. Retrieved 2008-11-01. ^ a b c d e Weller, Sheila (July 2012). "Suddenly That Summer". Vanity Fair. Retrieved September 28, 2012. ^ Chet Helms. "About this event..." Summer of Love. Archived from the original on 2011-02-28. Retrieved 1 March 2016. ^ a b "The Year of the Hippie: Timeline". PBS.org. Retrieved 2007-04-24. ^ "Summer of Love: Underground News". PBS American Experience companion website. Retrieved 2007-05-15. ^ Eddi Fiegel (2006). Dream a Little Dream of Me: The Life of 'Mama' Cass Elliot. pp. 225–226. ISBN 9780330487511. Retrieved 5 August 2013. ^ Whitburn, Joel (2004). The Billboard Book of Top 40 Hits: Eighth Edition. Record Research. p. 415. ^ Carson, Jim (August 5, 2011). "Did You You: "San Francisco (Be Sure to Wear Flowers in Your Hair)" By Scott McKenzie". CBS Radio. Archived from the original on August 16, 2011. Retrieved 2012-02-24. ^ a b Gail Dolgin; Vicente Franco (2007). The Summer of Love. American Experience. PBS. Retrieved 2007-04-23. ^ "Transcript (for American Experience documentary on the Summer of Love)". PBS and WGBH. 2007-03-14. ^ Ron Bruguiere. Collision: When Reality and Illusion Collide. p. 75. Retrieved 5 August 2013. ^ Reynolds, Simon (1998). Energy Flash. Picador. ISBN 0-330-35056-0. ^ Elledge, Jonn (2005-01-11). "Stuck still". AK13. Retrieved 2006-06-13. , "By the end of 1988, the second summer of love was over"
^ "History of Hard House". Archived from the original on 2006-05-16. Retrieved 2006-06-13. "As the second "Summer of Love" arrived in 1989"
^ Joel Selvin (September 2, 2007). "Summer of Love bands and fans jam in Golden Gate Park - SFGate". San Francisco Chronicle. San Francisco: Hearst. ISSN 1932-8672. Retrieved 5 August 2013. ^ "The Line Up for 2007". Summer of Love 50th Anniversary - 2017. Retrieved 23 July 2017. Lee, Martin A.; Shlain, Bruce (1985). Acid Dreams: The CIA, LSD, and the Sixties Rebellion. New York: Grove Press. IDBN 0-394-55013-7, ISBN 0-394-62081-X. This page was last edited on 3 April 2019, at 08:08 (UTC).